Developer: Salon Media Group, Inc. I paid a subscription, but Salon never accepts my signin, and I can only read the first page of any article. Really annoying. 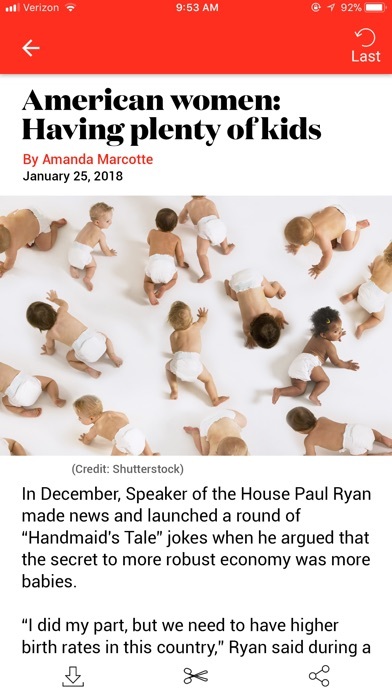 I’ve enjoyed Salon’s coverage for years, and hope to for years to come. Glad to see this app is back. Access to Andrew O’Hehir alone is worth 5 stars. App needs a visual designer. Bye. ///Update to original review: cancelling my trial subscription. Really—there is enough design info and know-how out there to create a good user experience./// Please get a visual designer to create more readable titles in the app. White text on light photos make for about 50% readability when scrolling through articles. I probably won’t continue with a subscription. Other magazine apps are much easier to scan and read. 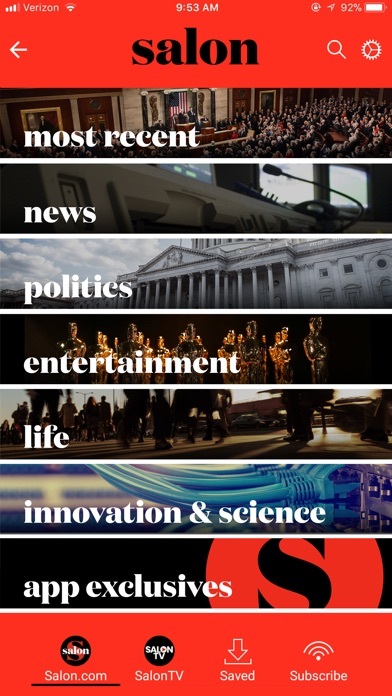 The latest makeover squeezes the list of articles into a small stripe down the center of the screen with about 2/3 of the available “red space” left entirely blank. No subtitle or summary of an article is given until you click on it. Browsing for content does not need to be this hard, guys. Streamlined layout; very easy to navigate. 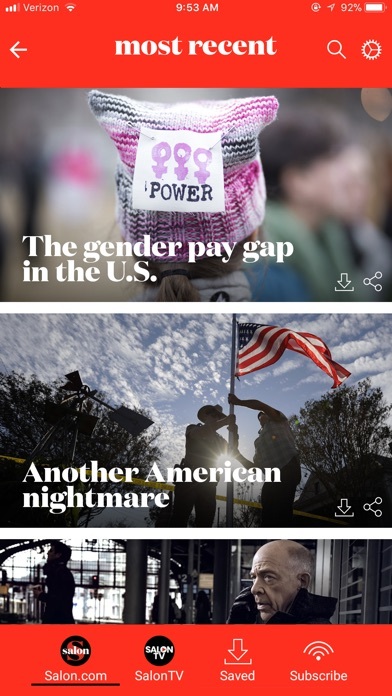 I’ll be reading Salon on mobile from now on. 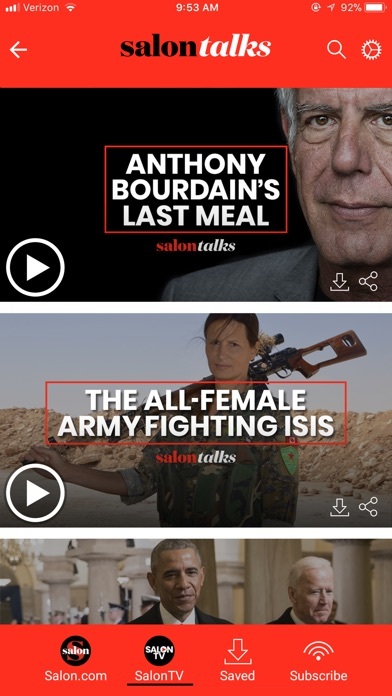 Love being able to watch Salon Talks conversations and intriguing documentaries in the app, too. Never mind. Just deleted and reloaded the app. Works better now. Would be stars but some categories not updating on iPad as they should. I feel dumb just reading it. More by Salon Media Group, Inc.